When speaking with our stakeholders, we found out that JEB is known for its culture. Our can-do mindset and innovation have allowed us to succeed in every challenge, and earn trust from our clients and partners. Considering JEB’s rapid growth in the past decade, this culture has been vital to us. Our Chief Operations Officer, Colin Leung, shares more on what JEB culture means and what differences it makes. Q: What’re your duties as a COO? How would you describe your working style? I would say this role requires leading by example, putting the right people at the right place, constantly challenging the status quo, providing platforms for staff for new ideas and always solving problems in creative ways. It is like being a Michelin chef mixing all ingredients together to deliver the best dish. I am a coordinator, nurturer, mediator, counsellor and even a magician! Q: Tell us about the most important factor to JEB’s success? Good people and the amazing working culture. From directors to front-end staff, everyone has been exceptionally dedicated. We often see our Managing Directors, Rob Wall and Paul Dingley, leading from the front with their diverse experience and engaging in open dialogues with our staffs and managers. We value on creativity, integrity, responsibility, teamwork and a can-do spirit. Everyone feels responsible for their duties with a strong sense of teamwork – and that’s how we tackle problems as a group. The result is our differentiation in products, services and ability to carve solid solutions as a market leader – with a particular attention to detail. Q: How has JEB changed over the past years? We stand out from being merely a partition supplier and are well-perceived as a specialist in our trade. There has been plenty of breakthroughs: we developed an acoustic sliding door, Summit, when everyone believed that sliding doors had no acoustic function. We are probably the first in putting switchable glasses into movable wall panels, and our JEB Custom Projects division has been delivering beautiful and customised solutions and retail façades in many projects. Q: How would you envision JEB’s future as an organisation? I always see JEB as an organism rather than an organisation. We evolve to become better and won’t stop improving ourselves. We are proud of what we are doing. We love to provide new solutions to our clients, we love to find new ways of doing things. We love our people and we also love the places we live in. We will keep doing all these. Visiting our showrooms is the best way to “feel” JEB. Come have a coffee or beer. See our products. Have a chat with our people. Tell us your thoughts. Colin Leung is the Chief Operations Officer at JEB Group. He is based in our Hong Kong office. You can find out more about JEB's people and values, or visit Colin's LinkedIn profile. Ricky Wong has worked on all sorts of partition projects with an array of clients. He now shares the essences of managing a partition project and how JEB has made a difference. Q: What makes a good office partition system? A: One concept we find very handy when approaching any project is that every office is different. There is no “one size fits all” strategy or design in partitions. 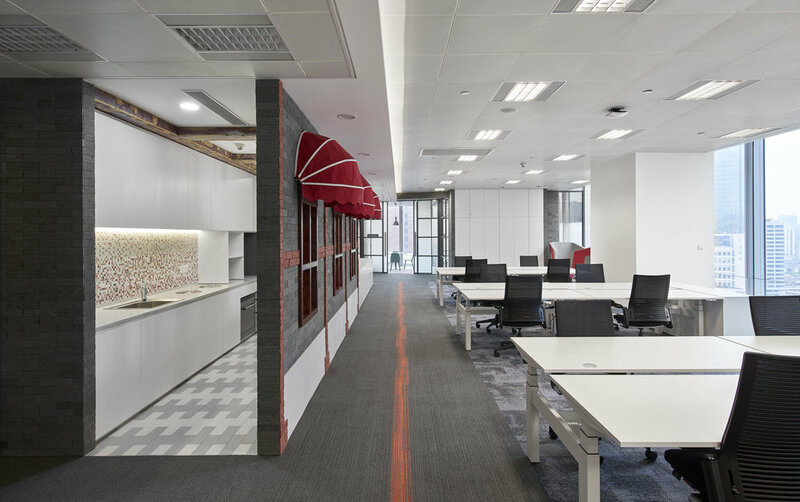 You need to have a clear understanding of the design and technical criteria of the office in question, understand what is required at each step and provide the right customisation. Take JEB’s Integra as an example. Its operable walls offer a refined aesthetics while being stringently acoustic. 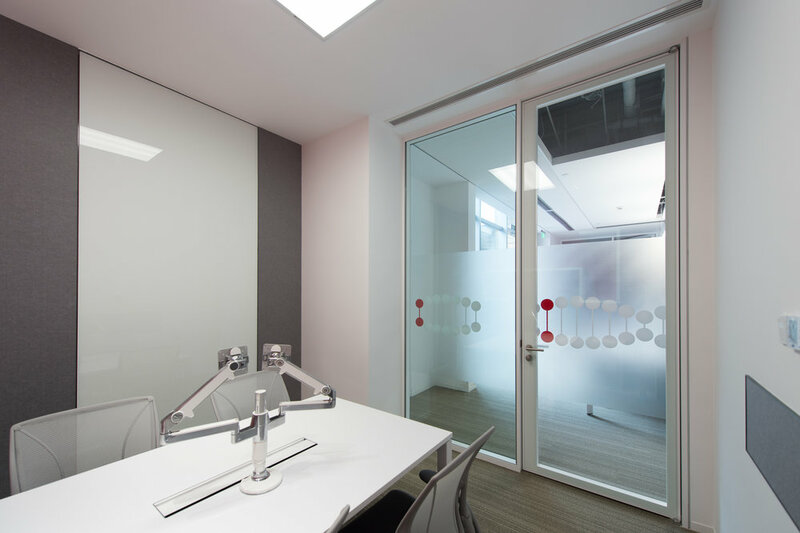 This flexibility explains why this office partition system is so favourable among our clients. Q: What key features do clients look for? A: From my experience, clients are increasingly fond of a streamline design with high acoustic performance. They are also curious on what colour ranges are available for the glass panel system. Some would go further and request that no visible mullion to be seen at the glass joints. Standards for styles have definitely gone up in my opinion. Many a client has asked about our X-Series and Integra partitions ranges for this purpose. 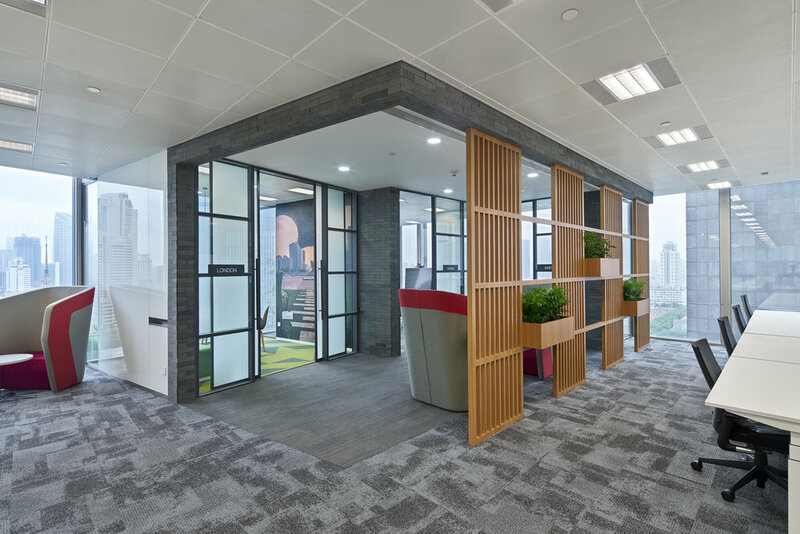 With minimum aluminium framing, glass panel systems in multiple shapes and customisable hinges, these lines have long been servicing the demand for specific office partition installations – not to mention our vintage Brooklyn line. Q: Have the requirements from clients changed over the years? A: From my observation, there is definitely an emphasis on price economy and short lead time. Project managers want high quality of work delivered, quicker and cheaper. Q: What is the secret in building a good partition system? A: The secret to a successful partition system lies in the details. Does the product have the best quality possible? Does the installer have the workmanship to oversee each step to the finest detail? Are after-sales services being delivered? These questions all determine a project’s success. We always follow up each case vigorously. From the bidding process, product and project managements to the turnkey process, we make sure each intent and request for a customised partition are overseen in the detail it deserves. Would you know to know more about JEB Partitions' offers? Q: How does JEB approach each project? Could you explain further? A: When we seek out a project, we approach the responsible designers or architects directly. We emphasise on their design specifics and constraints, and showcase how JEB’s partition systems can contribute – JEB’s partition systems are known for their customisation, from handles, lock cases, cylinders, hinges to stoppers and drop seals. When we do so, we always demonstrate our capabilities with a set of shop drawings. Once we are awarded a tender release, our representatives will hand over to the project team to oversee the entire site installation process. It takes different teams with unique capabilities to make our results possible. Q: Is there an example? A: We have recently completed a partition installation project for a global insurance company. Our team were challenged to come up with a plan with little time. Considering the scale of the project, accommodating multiple specifics with attention to detail has made the process quite formidable. Our success came from our product quality and product management services. Our talented installers and representatives were able to build trust with our project management partner. Products were chosen particularly to suit the project – double-glazed Integra and X-Series provided the acoustic performance, while maintaining the much-desired modern streamline sleekness. We kept communications as clear as possible and insisted on delivering each component to the highest quality. It was particularly satisfying when we received an appreciation letter from them. Ricky Wong is the Senior Sales Manager for JEB Partitions. He is based in our Hong Kong office.